After years of waiting, Ikea is finally taking on one of the world's biggest markets. 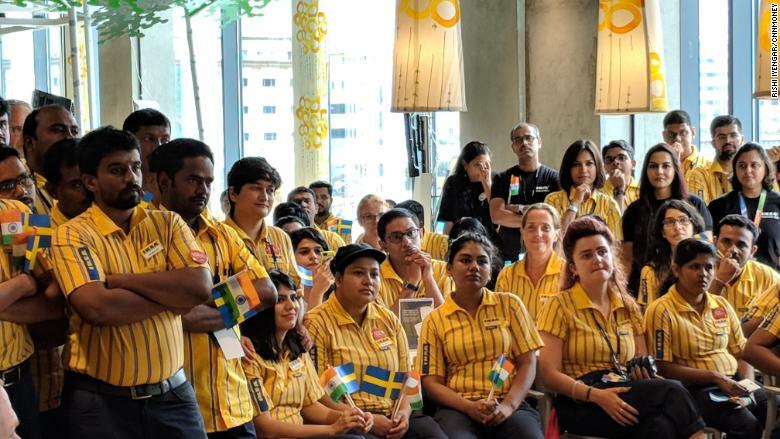 The Swedish furniture company opened its first retail store in India to customers on Thursday morning, where it anticipates as many as 7 million visitors a year. The company aims to have 25 outlets across the country by 2025. The next store is slated to open in Mumbai in 2019, followed by Bangalore and Gurgaon, on the outskirts of Delhi. 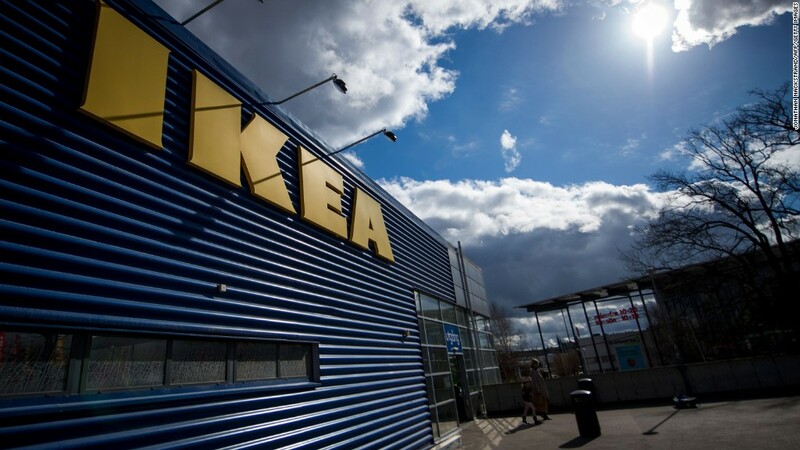 Ikea plans to eventually spread its iconic blue-and-yellow stores across more than 40 Indian cities. The company said it will spend about 10 billion rupees ($145 million) on each store it opens in the country. 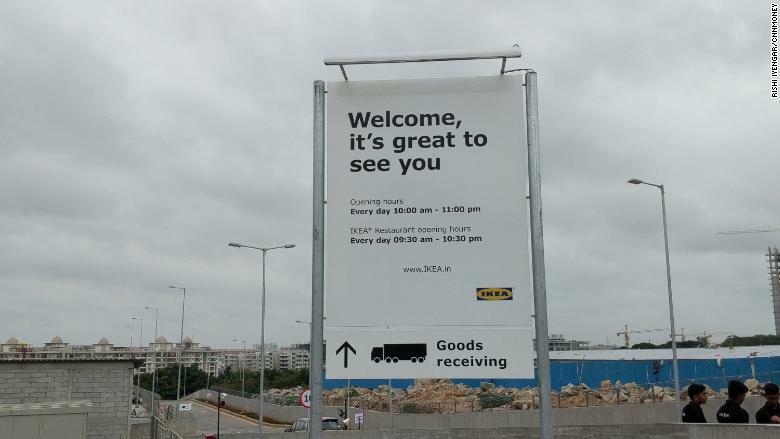 At the new Ikea store in Hyderabad. Betzel said India's population of 1.3 billion, more than 50% of whom are under the age of 25, makes it a hugely attractive market. The company has sourced materials for its global operations from India for around three decades. But it was prevented from opening stores because of government restrictions on foreign investment. Those rules have since been eased, but Ikea still ran into headaches getting its first outlet up and running. This week's grand opening was originally scheduled to happen last month, but the company delayed it because of quality concerns. 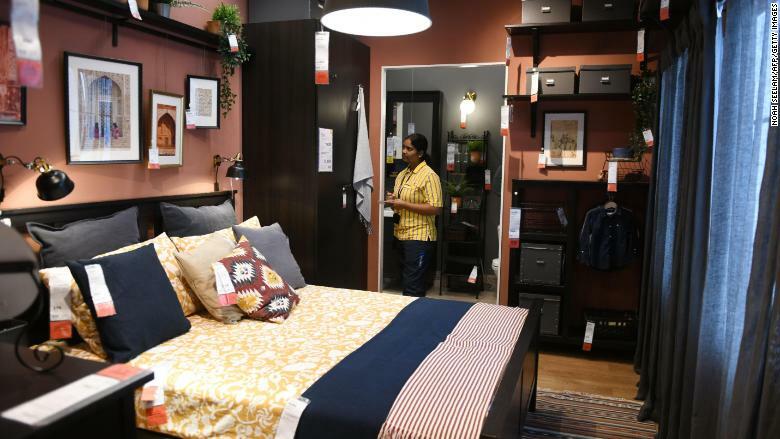 Indian consumers will be able to buy popular global Ikea products like "Billy" bookcases and "Klippan" sofas, but the company is also going local. Some 1,000 products sold at the Hyderabad store are made in India, including items that are unique to the market like pressure cookers, mattresses made of coconut fiber and pans used to make Indian flatbread. Ikea did years of research in India, visiting more than 1,000 homes in Hyderabad and other cities. It's offering 1,000 products that cost less than 200 rupees ($3), an important draw in a country where the average annual salary is less than $2,000. "We knew from the beginning that we cannot be arrogant and try to copy and paste," Juvencio Maetzu, Ikea's deputy CEO and chief financial officer, told CNNMoney. "We really put a lot of effort into listening and understanding." An Indian worker taking notes inside a room display at Ikea's new Hyderabad store on Wednesday. Maetzu led Ikea's India operations for five years before moving to his new role in December, and was instrumental in making the Hyderabad store a reality. He said the country is more than just a massive new market — it's a model for future growth. "India for us is not only a place to do business, India for us is a lab to make Ikea worldwide much better," he said. 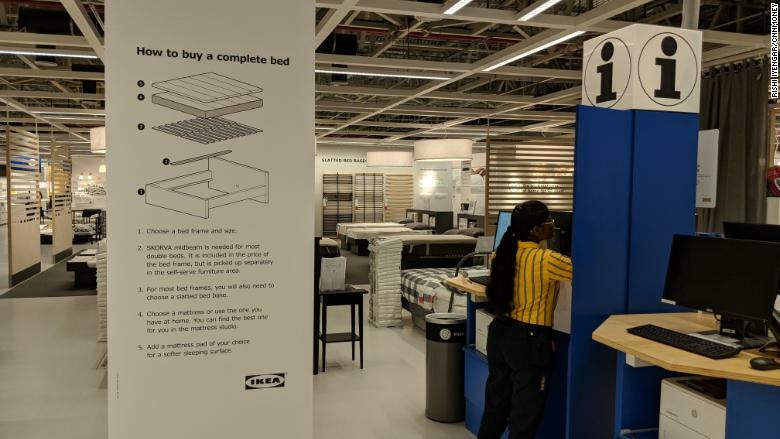 Ikea has tweaked its assemble-it-yourself model for India, where most furniture is custom-built and sold by local carpenters. Around 150 of the store's 950 employees will be dedicated to assembling furniture, a job that Ikea will also outsource to contractors. The retailer is also betting that the way to Indian hearts is through stomachs. 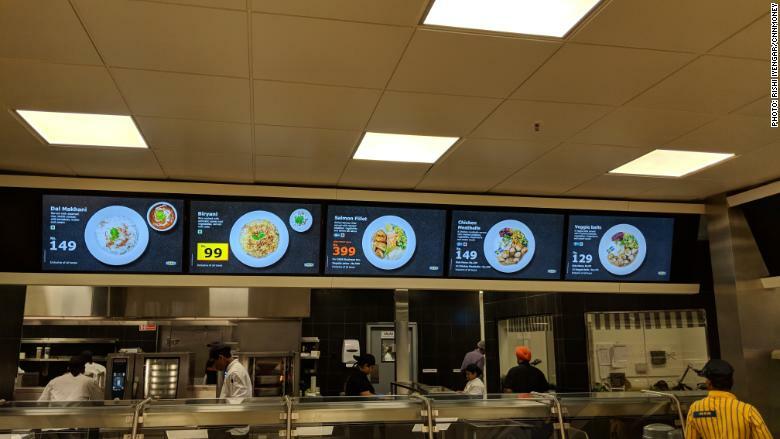 The restaurant in the Hyderabad store seats up to 1,000 people, making it the world's biggest Ikea eatery and one of the largest restaurants in India. Customers can buy local snacks like samosas for as little as 10 rupees (15 cents), as well as Swedish fare like salmon and meatballs. The meatballs are made of chicken or vegetables because many Indians adhere to religious rules prohibiting consumption of beef or pork. "We learned that food is important, especially with the whole family coming," Maetzu said. "Here, the consumer is the entire family." Wealthy, well-traveled Indians may already be familiar with Ikea, but the company is hoping to attract millions of new fans. "We love a challenge," said Maetzu. "India is making Ikea better. We may have good days and bad days, but everything is an opportunity."